Photo courtesy of the Pat Tillman Foundation. Pat Tillman, courtesy of the Tillman Military Scholars Foundation. The Tillman Military Scholars program helps fill in the gaps covering not only direct study-related expenses such as tuition and fees, but also other needs, including housing and child care. The Pat Tillman Foundation has awarded over $2.2 million in scholarship funds to 171 Tillman Military Scholars pursuing education at 59 different universities across 32 states. Tillman scholars are connected by their intense desire for education, to improve their own lives and to serve their country and communities. The application to become a Tillman Military Scholar opens on Monday, February 13. Learn more about eligibility and criteria at http://www.pattillmanfoundation.org/tillman-military-scholars/apply/. 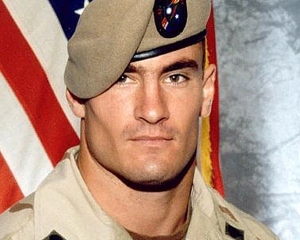 Family and friends established the Pat Tillman Foundation following Pat’s death in 2004 while serving with the 75th Ranger Regiment in Afghanistan. Created to honor Pat’s legacy and pay tribute to his commitment to leadership and service, the Pat Tillman Foundation is a national leader in providing educational support and resources to veterans, active servicemembers and their spouses.